"Jung's advice is to 'be what you have always been', and this is the real path to inner integration and to relating with others. One of the greatest assets of the [astrology] chart with its interwoven patterns, especially if taken in conjunction with typology, is that it can provide a richer, more comprehensive picture of what one has always been – which is also what one can potentially be." Astrology is an ancient discipline that began in Mesopotamia as humanity sought to comprehend human nature reflected in the movement of the heavens: the Sun, the Moon, and the cycles of the Planets. This tradition continues but has now added a new dimension: We recognize that the movements of the heavens are metaphors for human life transitions that everyone experiences in our One World (Unus Mundus). Thus, the symbolic nature of astrology lends itself to deep psychological reflection. 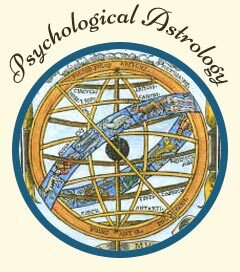 Psychological Astrology is based in the ideas of C.G. Jung and their correlation with the archetypal nature of world mythology. This approach provides a system for gaining insight into the uniqueness of the individual's life-story through reflection and meditation upon the symbolism of Sun, Moon, and Planets in the astrological houses, their aspects, transits and cycles in both the birth chart and the progressed chart. Initial consultations require two sessions, a Birth Chart Consultation (Personality) and a Transit Consultation (Current Life Events), payable separately. Each session is 1 ½ hours. The 1st session examines the birth chart and the basic psychological disposition depicted there. This 1st session is foundational for understanding the current events in one's life which are discussed in the 2nd session in terms of planetary cycles and the progression of the chart. Clients seeking to be updated in subsequent sessions do not need to repeat the initial birth chart consultation. My approach is to help clients use the astrological chart to become more conscious of their personal conflicts and self-imposed obstacles as reflected in the horoscope. The aim is to use these insights to manage current problems more effectively. Hence it is important to understand the psychology of the birth chart as our basic personality disposition before attempting to grasp the current life situation. Birth Chart Consultation (Personality) $190 Pay Securely using Your Credit Card Now. Psychological reflection upon the birth chart provides understanding of both our talents and struggles, our aspirations and fears, and gives meaning to our life story. While the patterns of our behavior and relationships seem to repeat themselves over time, with conscious reflection, we are capable of seeing the larger pattern of life with a view to making necessary changes. Transit Consultation (Current Life Events) $190 Pay Securely using Your Credit Card Now. Cycles of the Sun, Moon and planets define the timing of both collective movements and individual periods of transition. These cyclical rhythms define the seasons of our lives, providing an understanding of times to retreat and times to move ahead. The timing of life cycles is unique to astrological systems. For example, Saturn has a 29 year planetary cycle, which defines our life-goals and how we structure our life. Reviewing these cycles, the transits to the birth chart, provides an understanding of current life events. Dr. Judith Robert is available for Astrological Consultations in person in South Bend, IN or on the phone. Please have the date, time (from birth certificate) and place of birth available before scheduling a consultation. If you do not have your birth time please contact the county health department where you were born and request a copy of your official birth certificate with the time of birth. No accurate birth time? I am unable to work without a time; however you may be able to find an astrologer on the internet who does "Chart Rectification" to determine a birth time. You can either pay for your session through this website or send a check prior to your 1st phone session. If you pay on the website, I am then notified by email and I will contact you by email or phone to set up your appointment time. Each session is recorded and a copy of the CD is made available to the client. If you would like me to speak to your organization or have other questions please contact me. Payments for sessions, once scheduled are not refundable. However, sessions may be rescheduled with 24 hours advance notice. The reason for this policy is that each astrological consultation requires a minimum of 1 ½ hours preparation prior to the session.